Wiring Diagram & Panel Design – Portland Engineering, Inc.
A control panel is a flat, often vertical, area where control or monitoring instruments are displayed. They are found in factories to monitor and control machines or production lines in places such as power plants, treatment plants, production lines, and processing facilities. Older control panels are most often equipped with push buttons and analog instruments, whereas today in many cases touchscreens are used for monitoring and control purposes. On the surface of it a control panel is just that, nothing more. 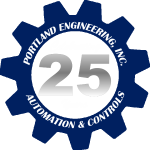 At Portland Engineering we have spent the better part of the last two decades working intimately on, and inside of, control panels and we know they are so much more than a vertical area where you mount your control instruments. 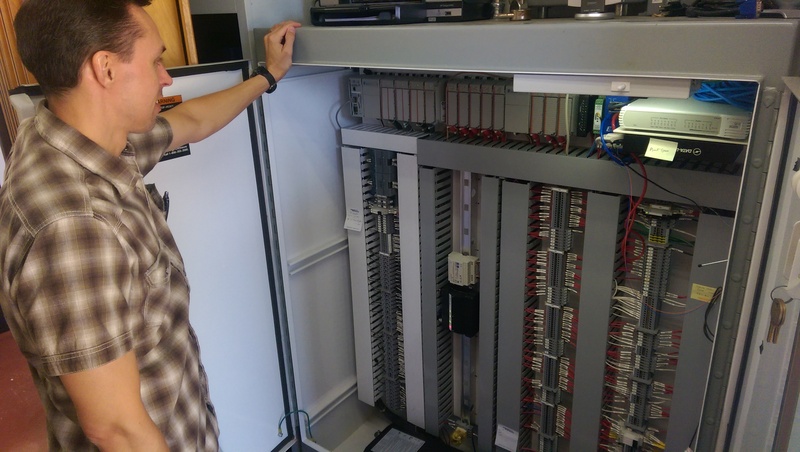 Control Panel Design is an essential component of control system optimization. We have designed, built, and commissioned control panels of all types in a wide range of industrial, commercial, and municipal facilities. We consider it one of our primary areas of expertise and pride ourselves on the high quality of control panel design work we provide our clients. Fully detailed panel design, layouts and wiring diagrams; Panel Construction; Panel Installation; Computer Aided Design (CAD).